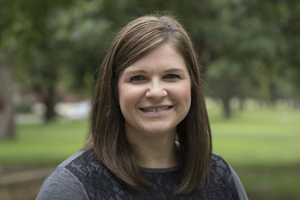 Erin Laudermilk began working at Sterling College in the fall of 2007. Erin grew up in Illinois and came to Sterling College to help build and grow the athletic training program. She is passionate about educating and challenging her students and has a special interest in curriculum development and student learning styles. Erin and her husband, Wes, reside in Sterling and are the parents of two children, Avery and Owen.